For the kingdom of God is not meat and drink; but righteousness, and peace, and JOY in the Holy Ghost (Rom 14:17) As Christians our joy should be “full.” We should have “joy unspeakable”. So why are so many Christians living short of that promise? Many of us look for that joy sometime in the distant future when we leave this earth by either rapture or death. We think our lot in life is to suffer and live in misery waiting on the promise. Some believers substitute the true joy of the Lord with self-righteousness or false humility, getting a fake joy out of their performances. Even this doesn’t last; they soon can’t keep the performance up and fall into shame and guilt. Others give up completely and turn to the world and fulfill lusts that bring only temporary happiness and never joy. Hebrews 12:2 says that Jesus found joy in what was “set before him”, joy that allowed him to suffer on the cross. What was that joy? I believe it was the salvation of the world- saving of lost souls, the reconciling of all back to the Father. Only one thing could have kept him from receiving that joy, and that would have been giving in to his flesh. Satan tempted Jesus to do just that, a way contrary to God’s plan, but Jesus refused. We too have to crucify our flesh. We talk about how the Jews, the Centurions, Rome and even ourselves, killed Jesus. All are true. However, Jesus performed the TRUE Crucifixion (of his flesh) in the Garden… before a soldier ever touched a spike. He cried out to the Father in his hour of flesh sweating blood in his battle! In the end, HE crucified his flesh by saying, “not my will, Father, but yours.” Jesus received his joy! He chose to receive it! We do the crucifying, with God’s strength and help, and God gives us the joy! That joy is in conquering sin in our lives and leading others to Jesus. If Jesus’ joy was in the saving of souls, shouldn’t ours be too? Time is winding down. Can’t you feel how it is flying by! Are you crucifying your flesh, ridding your life of sin? Are you feeding your spirit with The Word? Are you building yourself up with your heavenly language? When the “shaking” begins, will you be able to stand? Are you “planting, watering and harvesting” souls? True revival is a heart hot on fire, in love, with God. But it is also the burning desire to see others come to the Father. Revival won’t happen without both. Where is your heart today? This entry was posted in Thoughts and tagged christian, diciples, faith, feeble, God, God the Father, God's word, Hebrews, Holy Spirit, hope, Jesus, joy, Lord, Paul, peace, Rome, satan, scripture, strength, strengthened, test, trial, weak, weakness. Amen, right on sister. Great revelation. Until we the “body of Christ” individually and corporately lay all our lives down at the alter of Jesus Christ (the cross) we will never truly experience the pure joy of the Lord you have talked about. Why? Because true happiness and joy of the Lord is not found outside of Jesus Christ, I know this from experience. It wasn’t until I laid everything down @ the cross of Jesus Christ, where I received true life in Christ. I’ve tasted and saw how good the Lord is. But some where along the line, I walked outside His will and became miserable, until the Lord lead me back into the path of righteousness for His name sake, and continue to walk in that path by the help, mercy and grace of God Almighty our Father through His Only Begotten Son Lord Jesus, by the help of His Holy Spirit. How many more us today in the body of Christ are experiencing the same thing? Therefore we have to examine ourselves, are we truly abiding in Christ or not? In Christ true happiness, joy and peace are found (John 15). 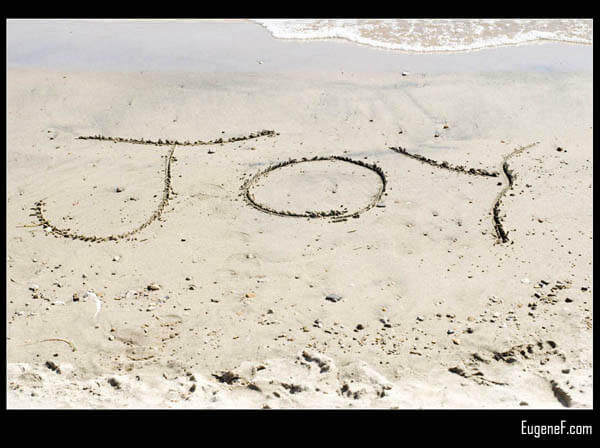 Misery or the lack of this joy, happiness and peace is the tall-tell sign that we are not abiding in Christ. We want the salvation and the blessings of God by our own means, terms and conditions. But it cannot work this way. It’s either Jesus Christ by His means, term and conditions or it’s not at all. In this last day and hour we cannot have one foot in and one foot out. It’s all or nothing at all. Misery, unhappiness, and lack of Biblical joy comes from resisting the Holy Spirit, fighting against The will of God, and kicking against the goad of His Word.